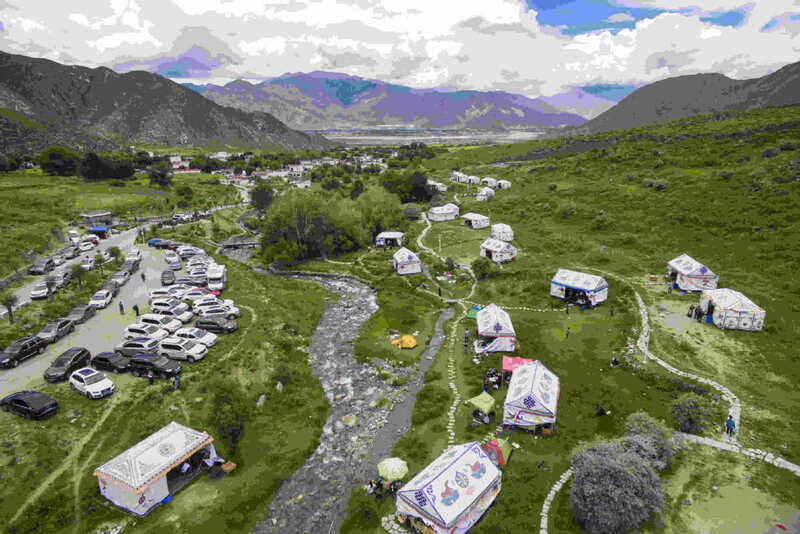 Dakdong village, deep in the mountains of Lhasa, capital of the Tibet autonomous region, used to be poverty-stricken but now reaps millions of yuan every year as a major rural tourism destination, featuring peach picking, camping and a hot spring. Nyima Yudron, 31, used to live in a stone house in the village with six family members, including two children, her parents and a younger brother. She and her husband, Yan Yongming, a decorator in urban Lhasa, recently paid 140,000 yuan ($20,000) for a new two-story, 100-square-meter house. One reason that was possible is that Nyima Yudron is no longer a housewife, and instead works as a property management assistant for a tourism company, earning 3,200 yuan a month. She said she is satisfied with her life: "The children study at school for free. I got a job near my home so that I can take care of the elderly."